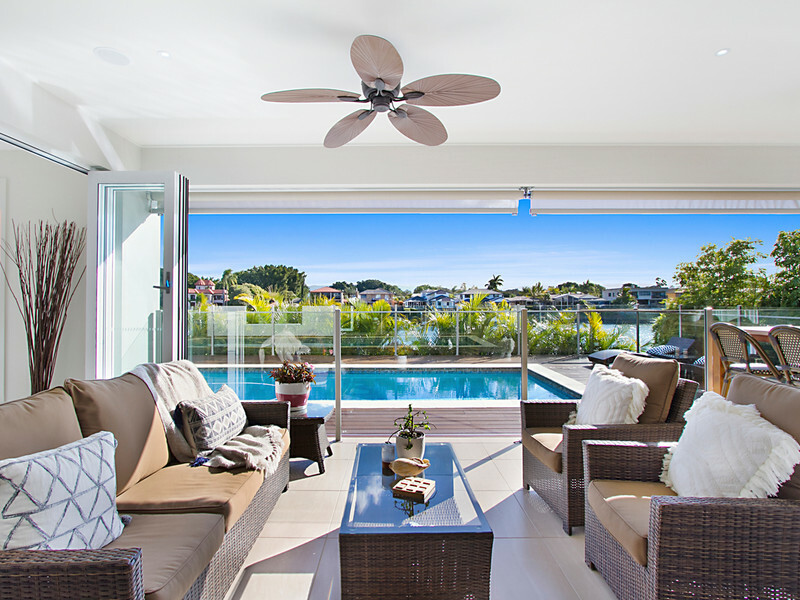 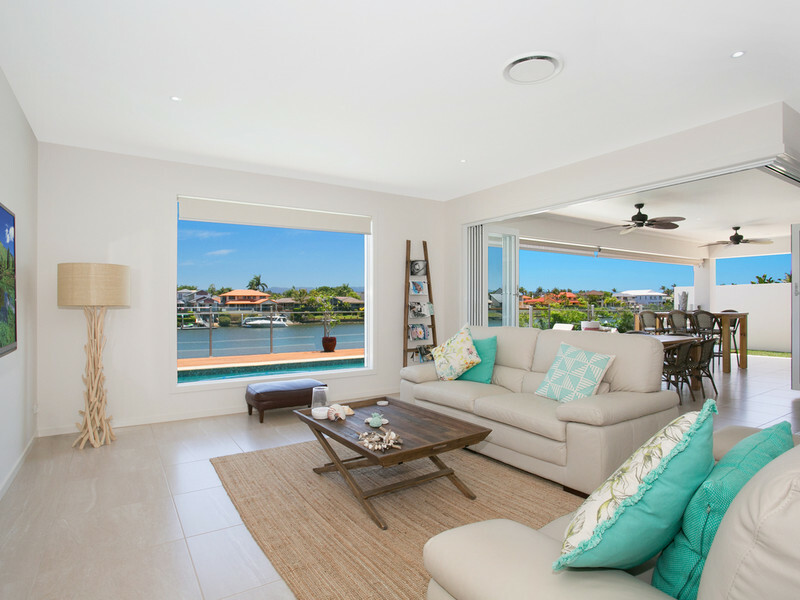 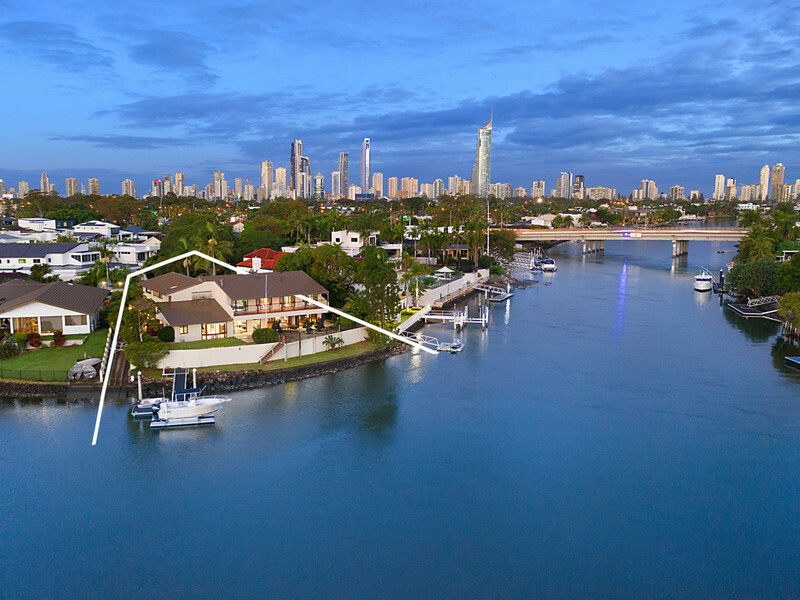 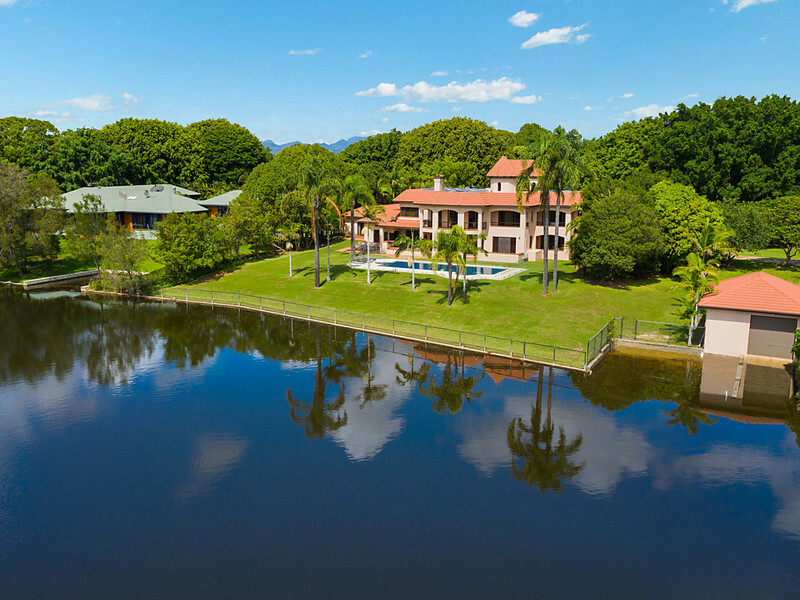 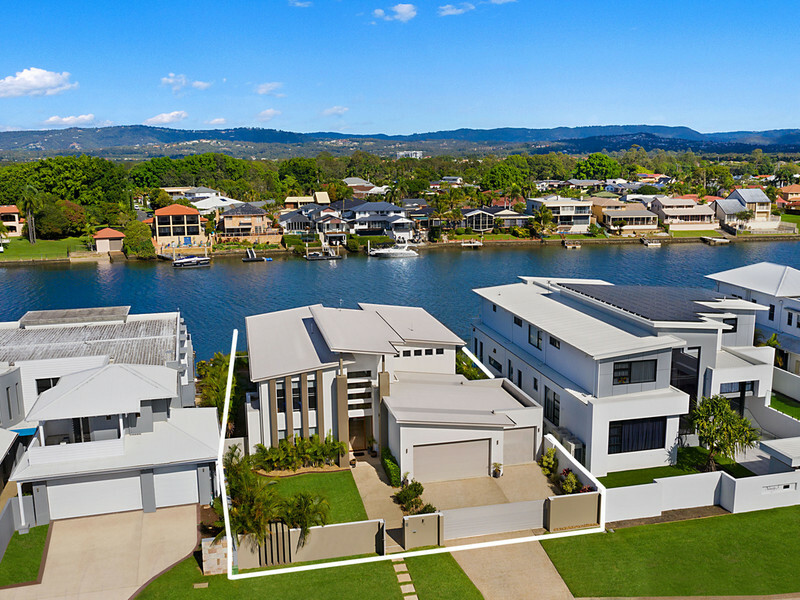 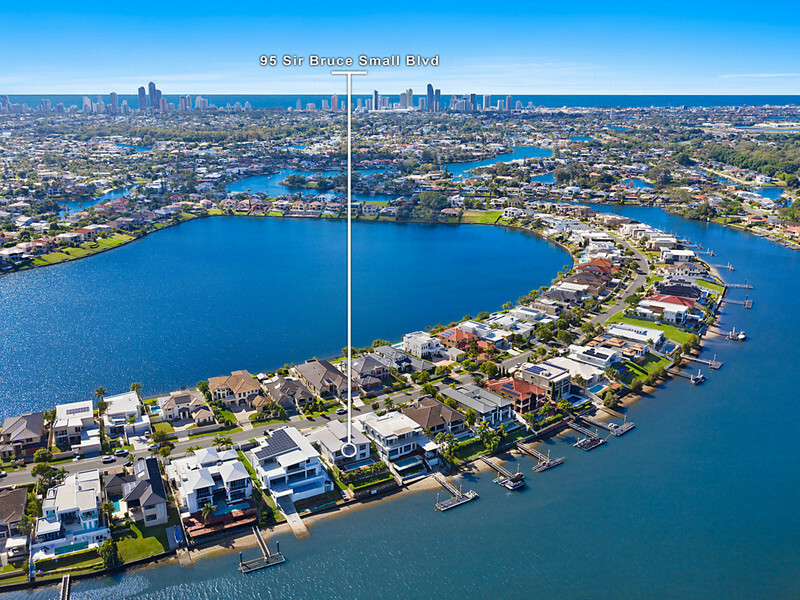 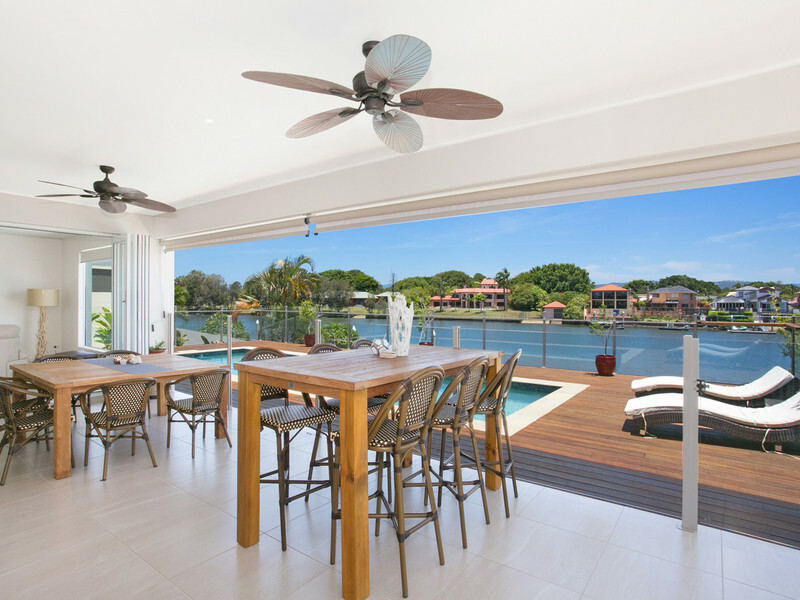 Perfectly positioned to capture cool Main River breezes and poised on 21m of wide waterfrontage, this 5 bedroom plus study, 4 bathroom family home offers the finest in effortless living and entertaining in Benowa Waters. 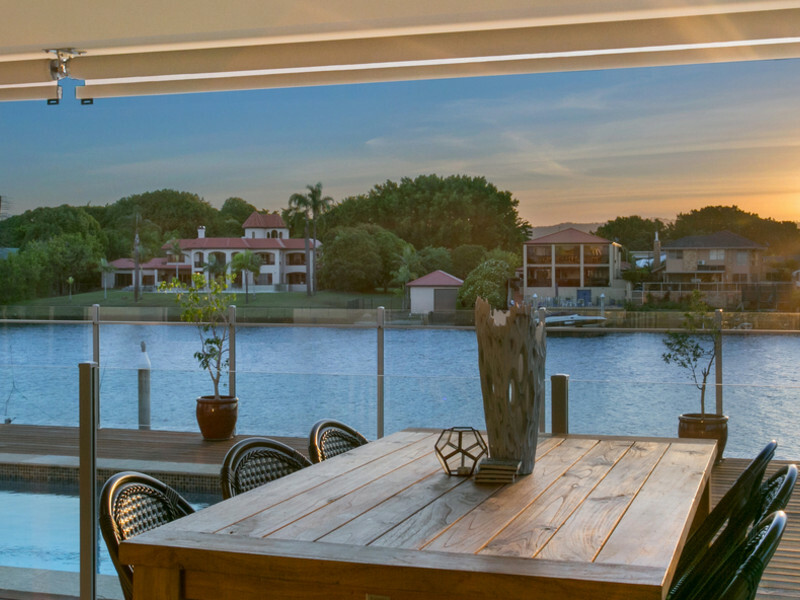 Perfectly positioned to capture cool Main River breezes and poised on 21m of wide waterfrontage, this 5 bedroom plus study, 4 bathroom family home offers the finest in effortless living and entertaining in Benowa Waters. 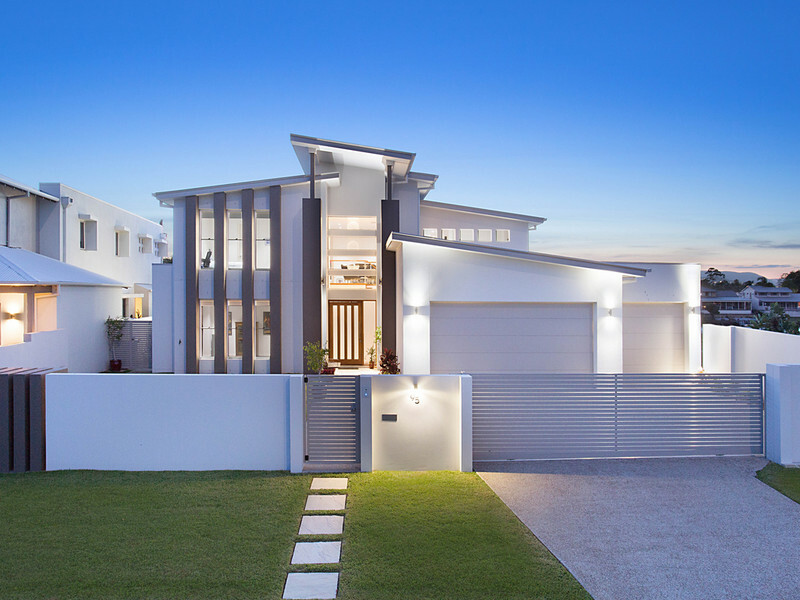 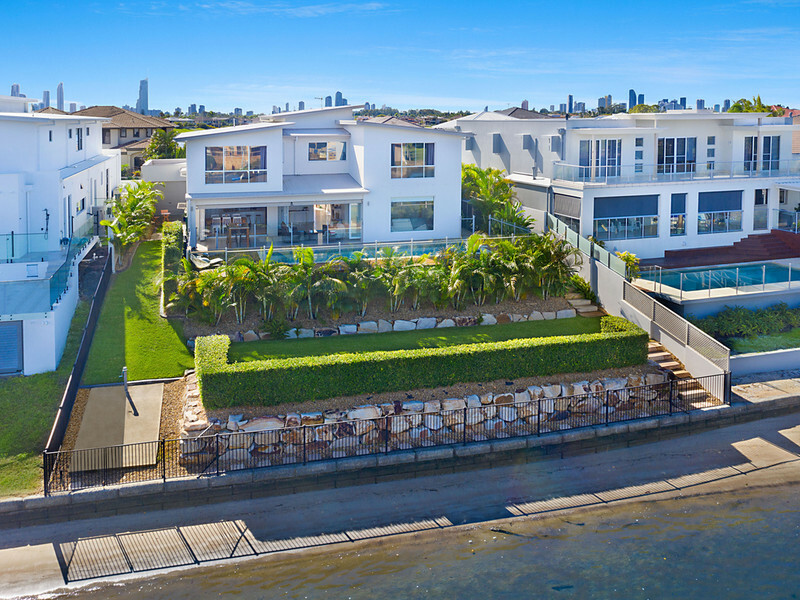 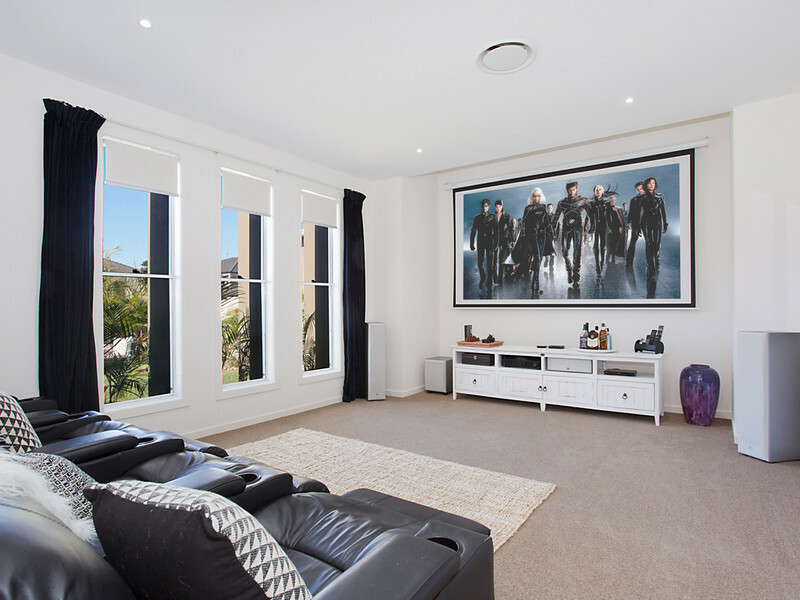 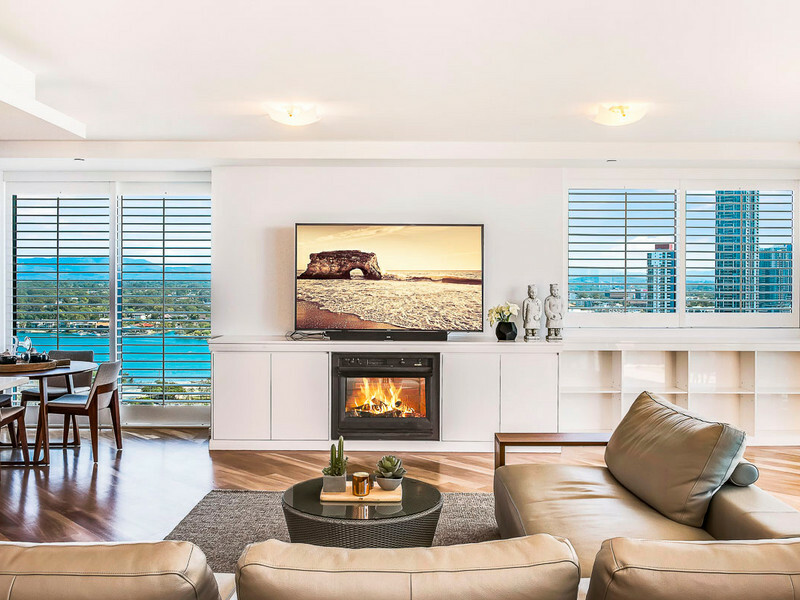 Set out over a generous 902m2 block and nestled in a prestigious neighbourhood, you’ll be impressed with the immaculate presentation and flawless finishes throughout this magnificent residence which also boasts a dedicated media room with upscale equipment. 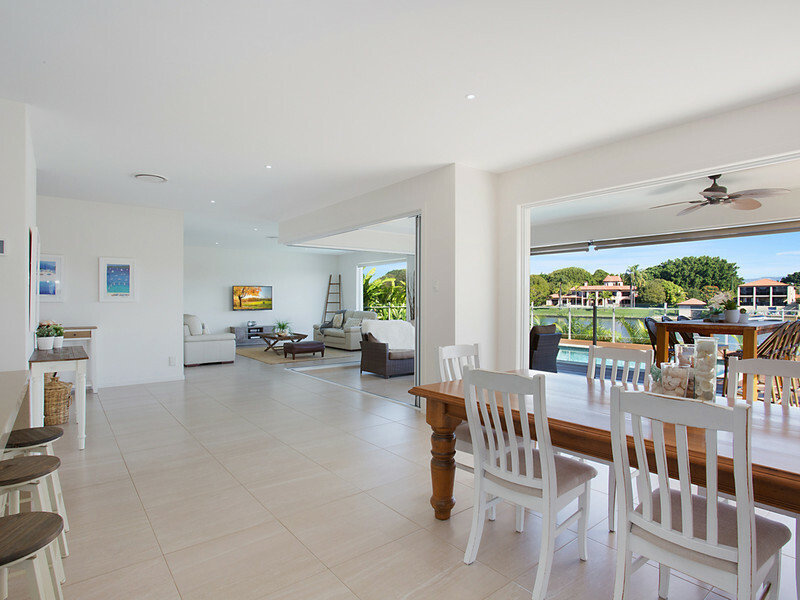 Intelligently designed to blend easy living with effortless entertaining, the house is flooded with natural light thanks to the abundance of high ceilings and smart floor plan. 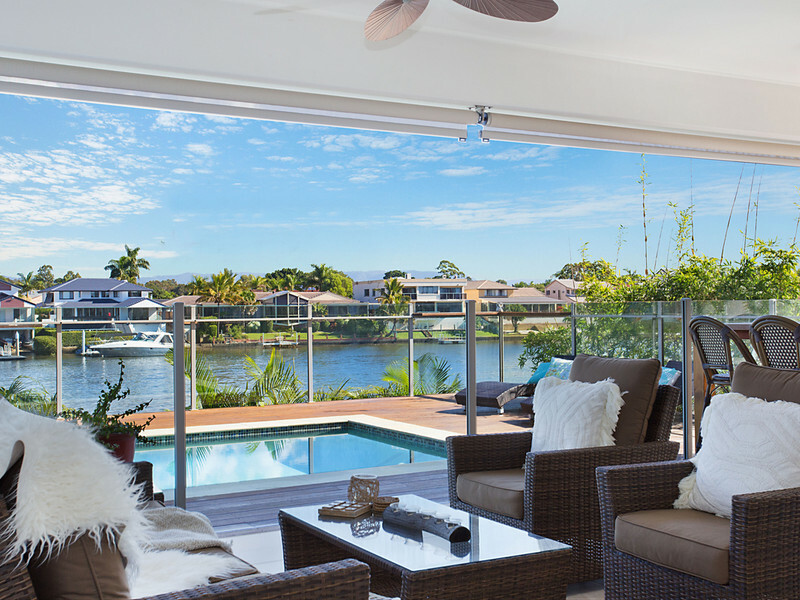 The living area overlooks the inground pool and beyond to Main River, and flows out to the alfresco area via stackable glass doors. 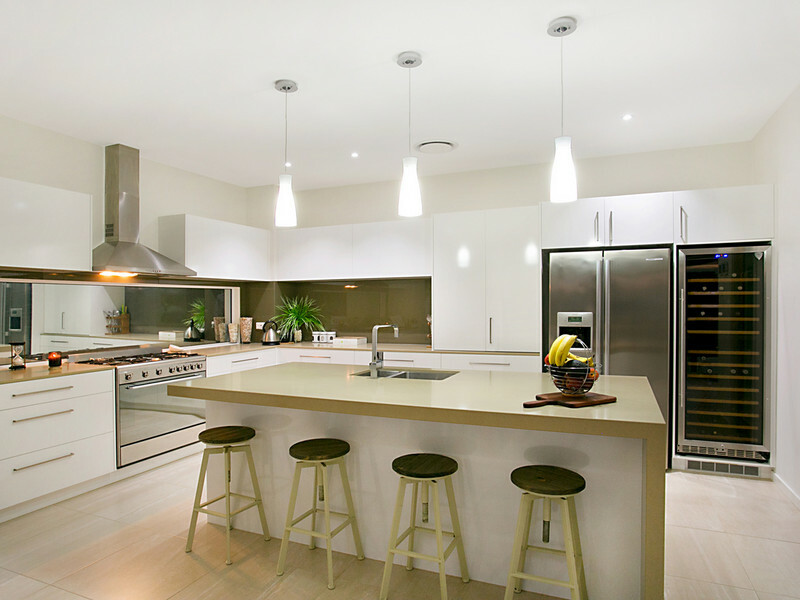 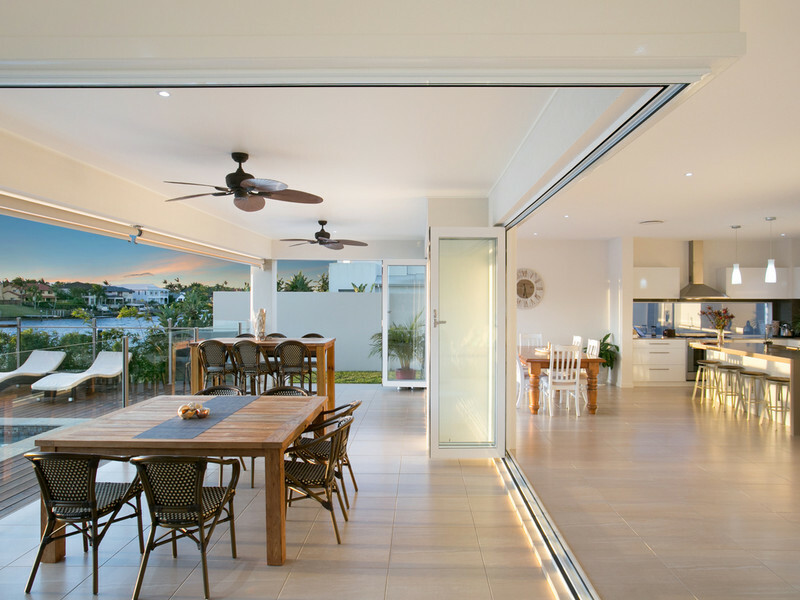 Featuring a entertainers kitchen with butlers pantry, Smeg gas cooktop, integrated dishwasher, wine fridge and supersized island stone bench, it also links gracefully with the outdoor entertaining area. 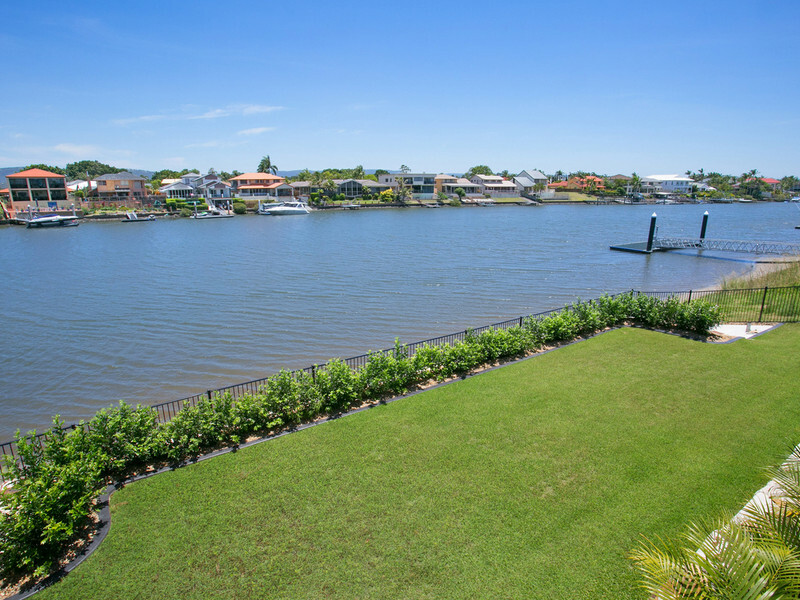 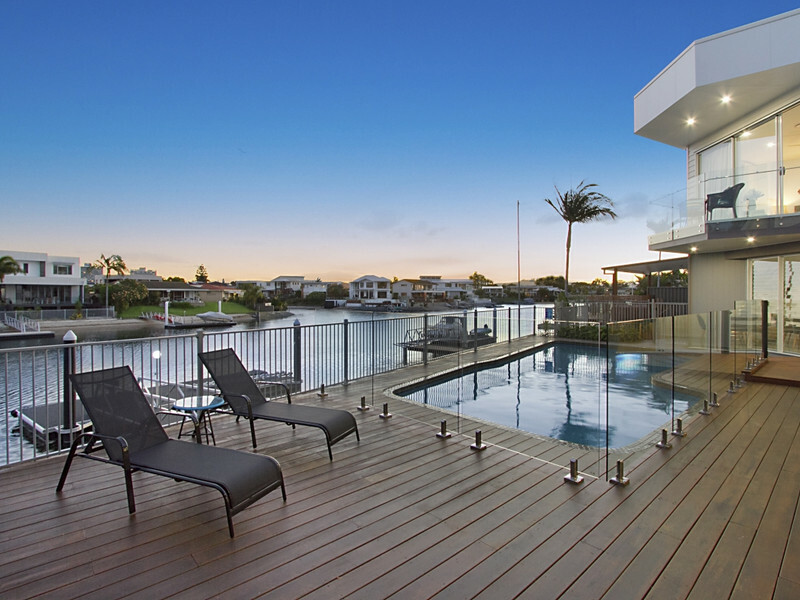 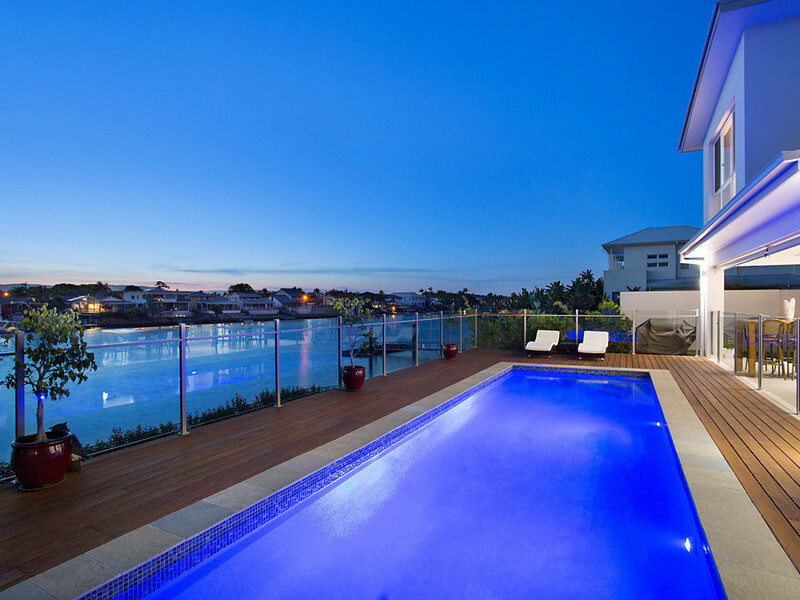 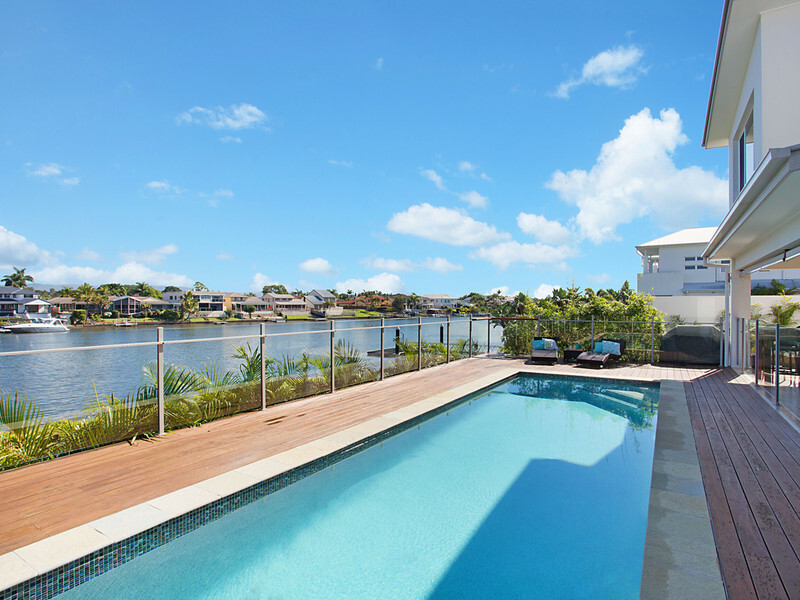 As well as the pool, water enthusiasts will enjoy a boat ramp plus the prime Main River location. 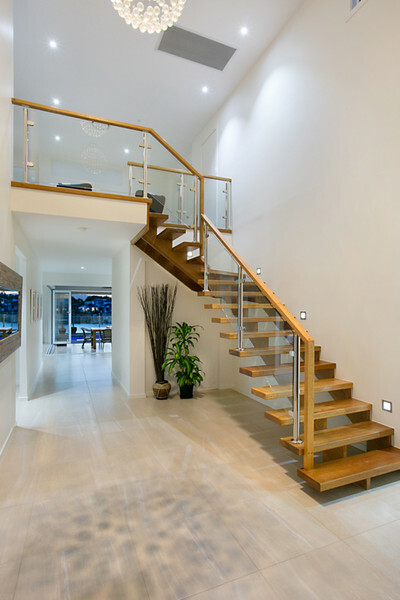 Atop the statement timber and glass staircase, through double doors the master bedroom awaits. 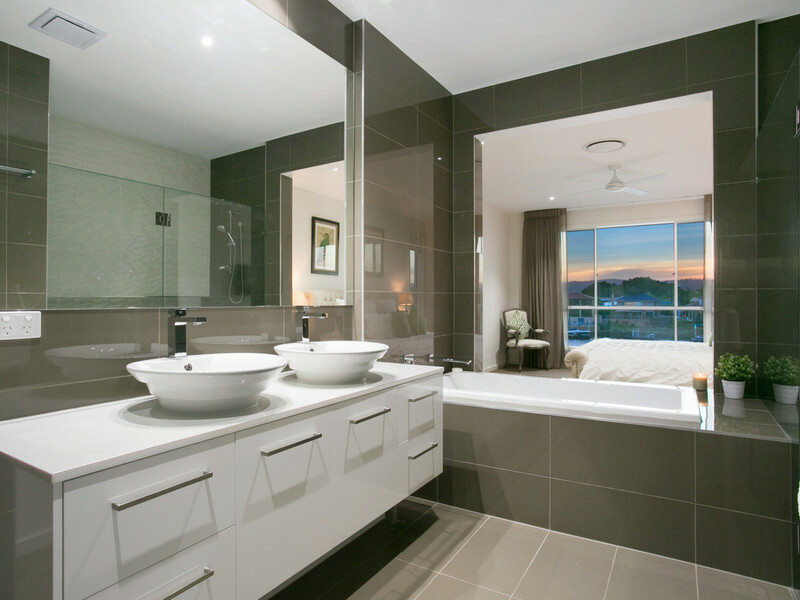 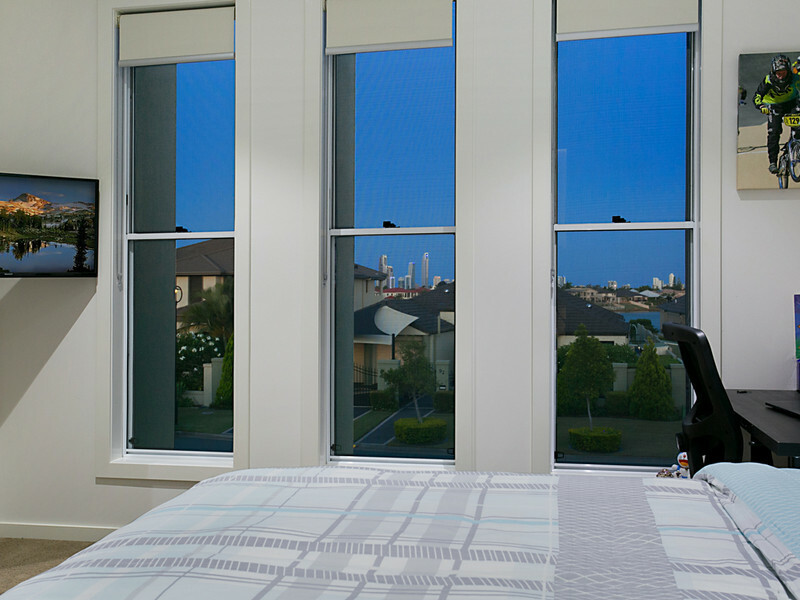 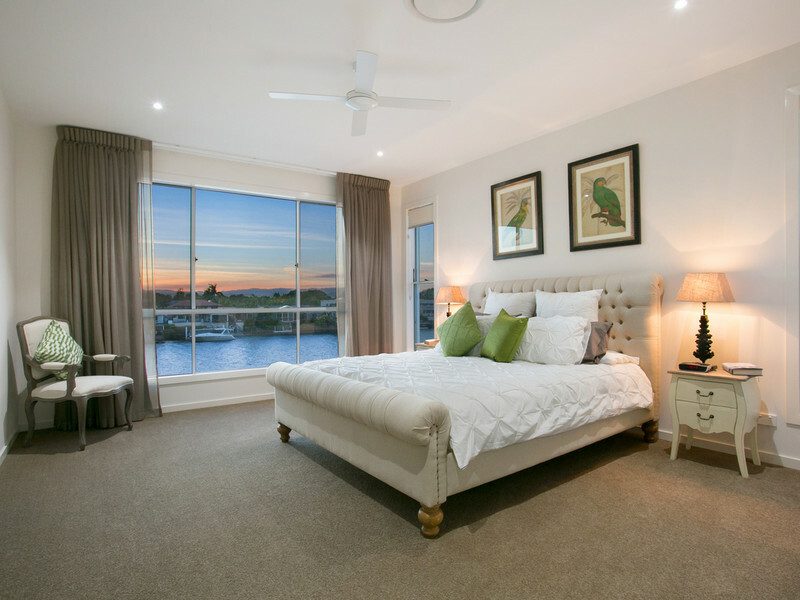 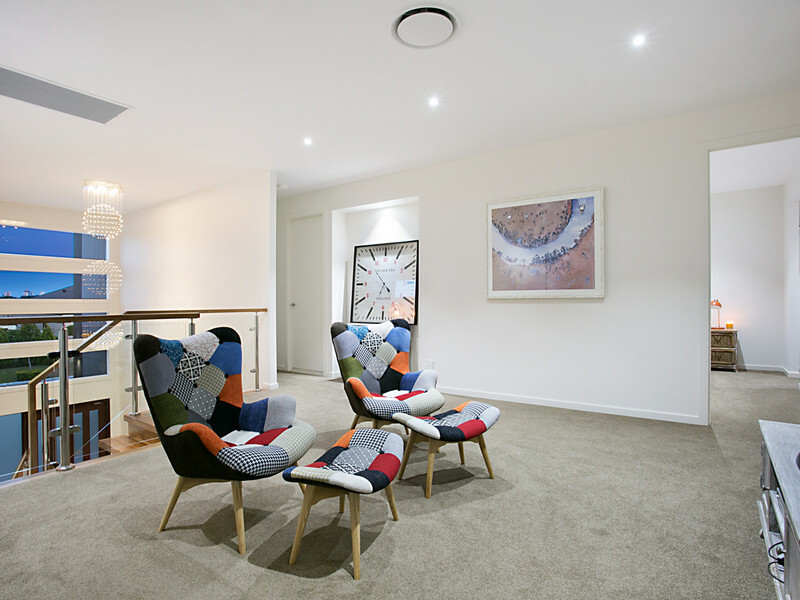 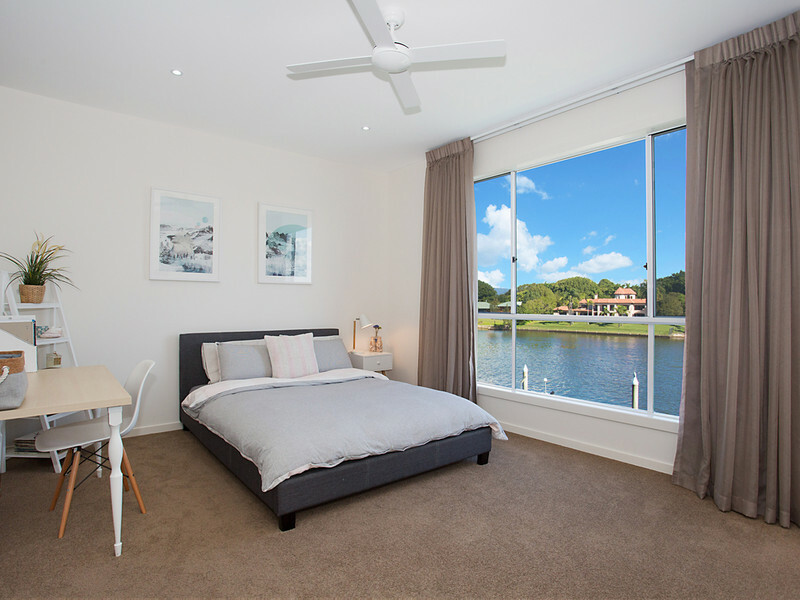 Presenting hinterland and water views, there is also a vast walk-in-robe and deluxe ensuite on offer. 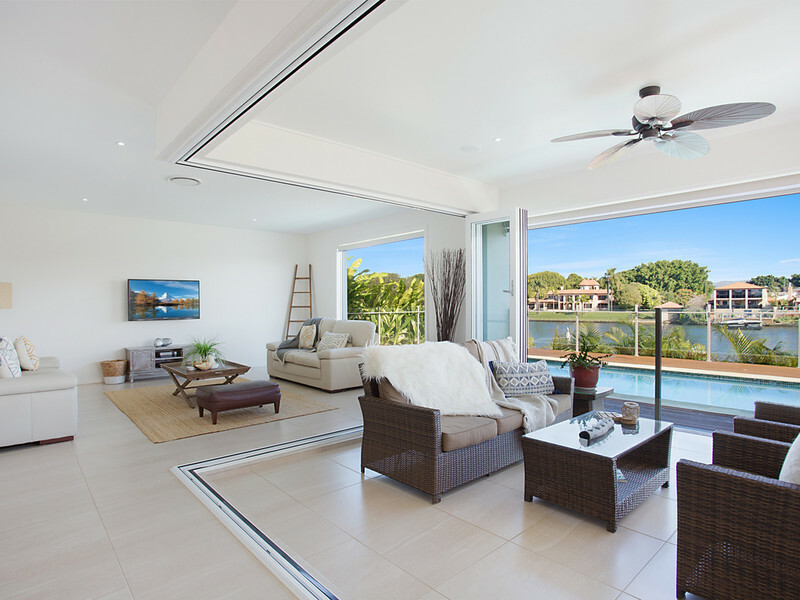 An additional 3 bedrooms (1 ensuited and 2 with a large two-way bathroom) all with walk-in-robes, ceiling fans are on the upper level along with a multi-use retreat area. 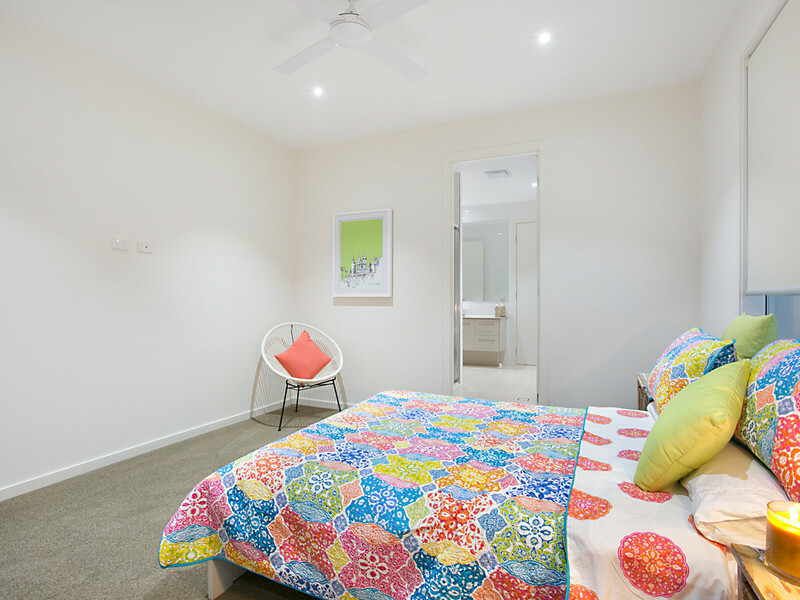 Downstairs, a guest bedroom with ensuite and walk-in-robe. 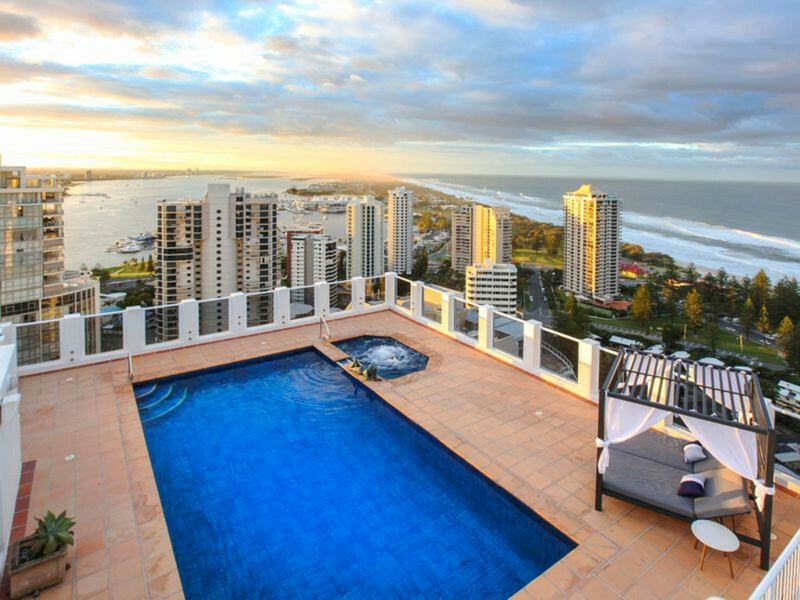 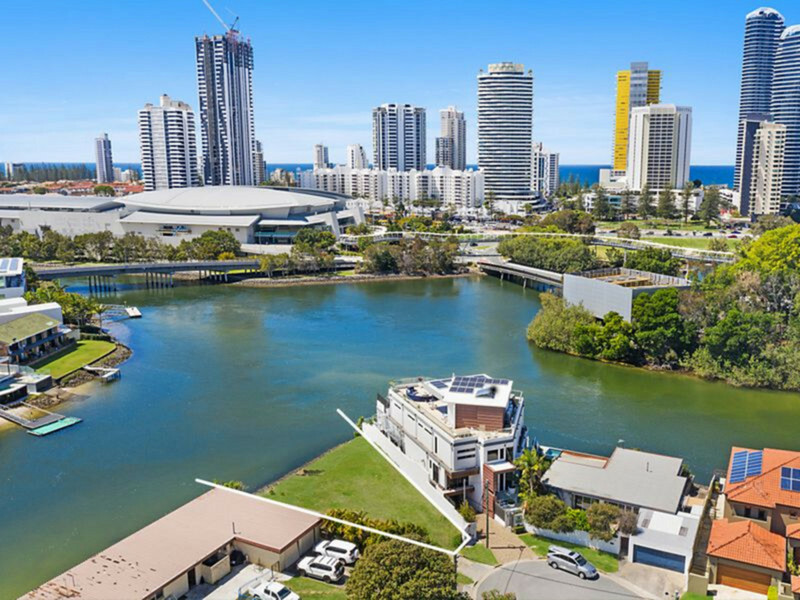 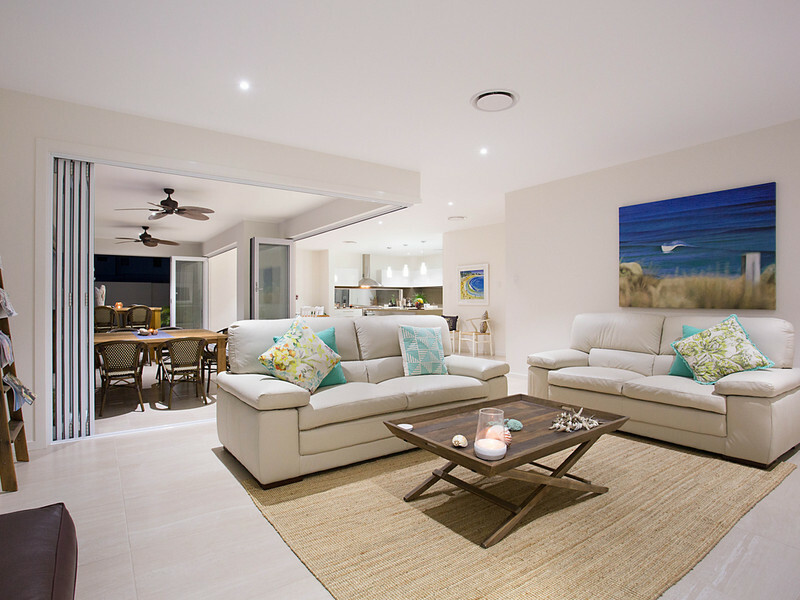 Situated 10 minutes from Surfers Paradise, 15 minutes from Broadbeach, and close to schools, shops, cafes and hospitals.